My name is Gut , a person who loves animation, comics and video games. As a fan I'd love to do fan art and decide to put them on the web. Besides comic style CGs I also work on other styles of illustration too. However, due to their size and nature it is more difficult and more expensive to put them on the web. But I'll try to show them if possible in the future. If you have any comments about this site or the artworks, please tell me through my e-mail. My e-mail address is one-gut@hotmail.com. I need your comments very badly!!! 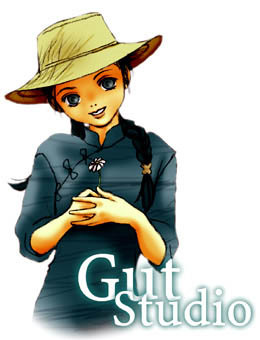 Copyright of all artworks displayed in this site belongs to Gut. Some specific characters are designed and copyrighted by Capcom. I would be very happy if you can link my page, but please inform me before doing so. Please get my banner at the links page. This is the first time I put up a web page, I hope it will run smoothly. If there is any problem on my page please tell me through my e-mail. Thank you. Page set up on Mar. 2 ,1999. Last updated on Mar. 15, 1999.